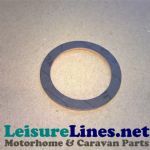 This commercial quality product Features high temperature resistance up to 120 degrees (248F) and is extremely flexible. 10 - 12 cans would normally be sufficient to fully carpet line a T5 or equivalent campervan. 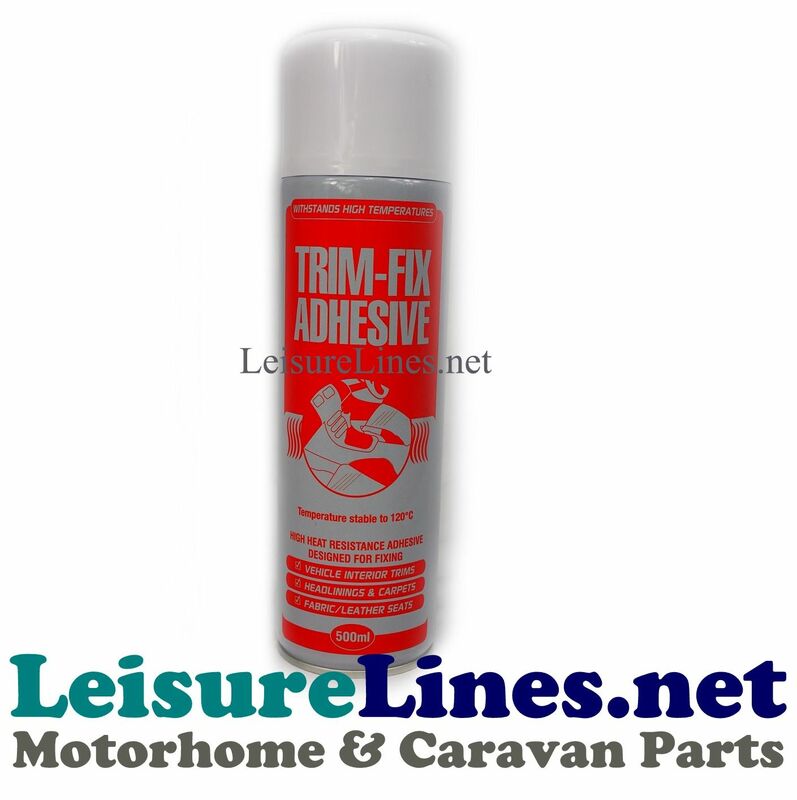 Trim-Fix High Temperature 120°C is an exceptionally powerful heat resistant spray adhesive specially formulated not to soften and release when exposed to high temperatures. 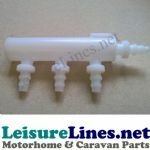 Camper Van Conversions, Marine Upholstery, Vehicle Restoration. 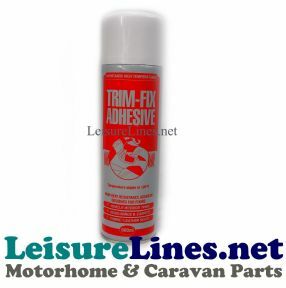 Trim-Fix High Temperatures 120°C spray adhesive properties are particularly suited for the bonding of Headlinings, Foam, Leather, Lining carpet, Flooring carpet, Felts, Fabrics, Rubber, Laminates and Polythene to themselves or materials such as Wood, Concrete, Metal, Plastic & Rubber. Trim-Fix is extremely easy to apply, firstly ensure that surfaces to be bonded are clean, dry and free from any contaminants. Spray the adhesive in a uniform coating from approximately 25cm (10 inches). For applications on porous materials, or for maximum strength adhesion, coat both surfaces. Allow1-2 minutes for the solvents to evaporate. Press together firmly, working from the centre outwards to achieve a good bond. For best results the adhesive should be used at temperatures between 15°C-25°C and stored at temperatures between 10°C-20°C. Any excess adhesive may be removed with our Solvent Cleaner. 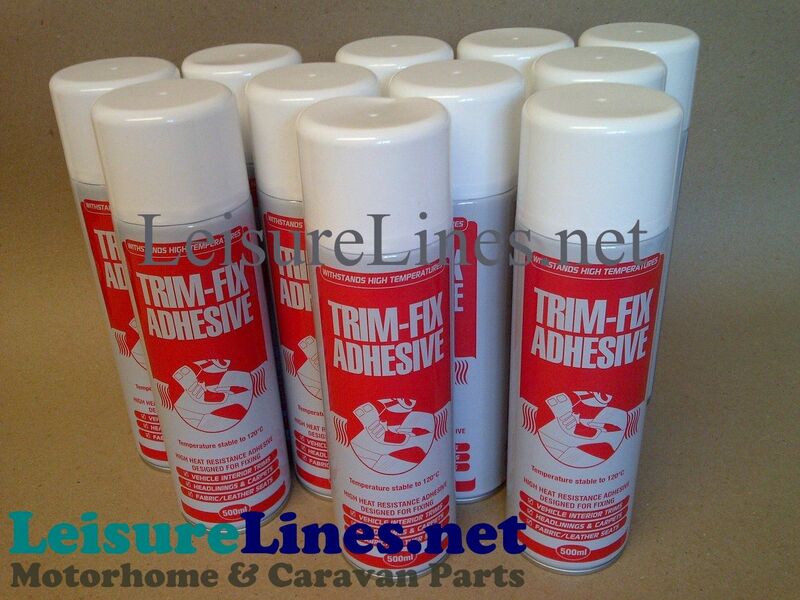 Note: Trim-Fix is not suitable to use on Heavily plasticized PVC vinyl and Polystyrene insulation.